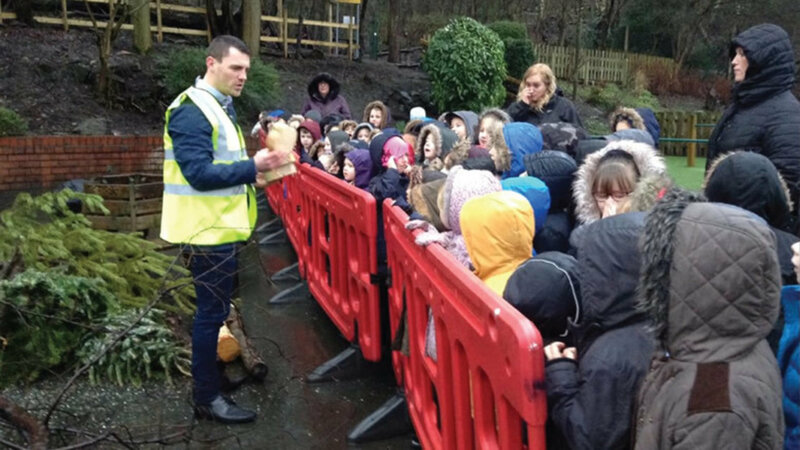 Great Grounds provide a range of specialist services to the education sector, from delivering interactive workshops which teach vocational skills to providing teachers with access to information which creates exciting new teaching and learning opportunities using their school grounds. The Council for Learning Outside the Classroom, believe that every young person (0-19yrs) should experience the world beyond the classroom as an essential part of learning and personal development, whatever their age, ability or circumstances. At Great Grounds we look to create many of these learning opportunities within your school campus saving time money and endless amounts of paperwork associated with field trips. We fully support the principles of learning outside the classroom in all our projects, and can provide access to a unique online resource linked directly to a range of projects that we have installed using our own Project Link system. The Project Link system provides teachers with easy access to information that creates learning opportunities from projects that we have installed. Examples of the types of information provided includes lesson plans, flower, tree and shrub identification data, maintenance information and construction photographs. The resource has the ability to continually develop by having a facility which links schools that have similar projects installed by us and is a truly unique teaching aid.